Swami Satyananda Giri Maharaj was the initiated disciple of Hangsa Swami Kebalananda (Sastri Mahasay) and chief monastic disciple of Swami Sriyukteswar who appointed him "Ashram Swami" of his Puri Asram. He also appointed him as the leader of the East and Satyananda's boyhood best friend, Swami Yogananda, was chosen by Sriyukteswar as his messenger for the West. The leader of the East, Swami Satyananda, was an egoless realized Yogi. He was a harmonious person and was a peacemaker. He had good connections with all the Kriya groups in India as their leader. 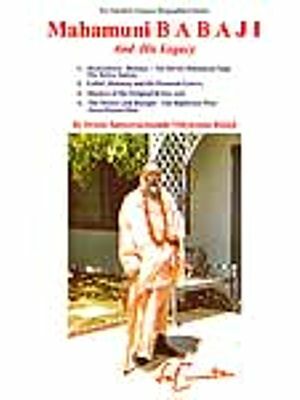 Swami Satyeswarananda Maharaj (in short, Swamiji or Baba, also known as Vidyaratna Babaji) was very closely associated with Swami Satyananda for twenty years (1950 -1971); as a result, he knew the ins and outs of everything that was going on in all the Kriya groups in India. For this reason, Swami Satyeswarananda's position was unique. He has been associated with the Original Kriya Yoga a long sixty five (65) years since the age of eleven. In this book, the subsequent chapters will unfold how he was harmoniously related with all. Swami Satyeswarananda knew all the Kriya groups and had a good relation with them. Furthermore, Swamiji knew their systems of the Kriya practice including Yogananda's teaching of the Modified Kriya, as he was eight years, a resident student in the Vidyapith (high school). After Satyananda's leaving the body in Mahasamadhi (entering into oneness attunement with the supreme Self, the final exit), Swami Satyeswarananda disassociated himself with all institutions: educational (Professor of law), professional (attorney), and the spiritual (Satyananda's hermitage Sevayatan which runs schools (boys and girls), postgraduate teacher's training college, technical school, and hospital). Swami Satyeswarananda began to tour India on pilgrimage. 1) Yogoda Sat Sanga Society (YSS). They even arranged a meeting with their international visiting President, Sister Daya, at Calcutta. 2) Satya Charan Lahiri at Satyaloka wanted Swamiji to stay there at his house and conduct the evening prayer. (The story is discussed later). 3) Swami Hariharananda (not to be confused with Hariharananda of Puri) wanted to take Swamiji to Jaipur and for some reason wanted Swamiji with him. 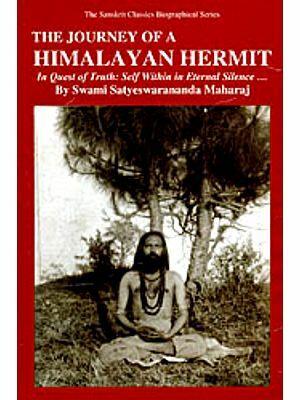 (Later, Swamiji found the reason was because Swami Satyananda had told him that Swamiji would deliver him a message in time which Swamiji himself did not even know what it was till he received it from Mahamuni Babaji, which Hariharananda thought all along it would be from Swami Satyananda, since he had mentioned it. 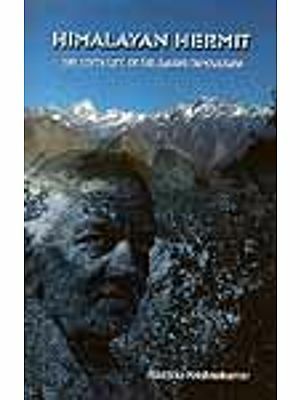 4) Utarkashi Sanskrit Mahavidyalay in the Himalayas to teach Vedanta. 5) A Vaisnab Baba (Bengali Sadhu) wanted to give Baba his Asram at Nandigram, Vrajabhumi. Leaving the Sevayatan hermitage of Satyananda, first Swamiji arrived at Calcutta. He stayed in the family of a devotee and a friend, Birendralal Choudhuri. While Swamiji was helping Swami Satyananda at Sevayatan, one founding member was not attending board meetings consecutively year after year; as a result, some members were talking about dropping his name and including some new member in it. Swami Satyananda said, "No. Sailen's name will remain there in spite of his absence in the meetings." It was a big favor to Sailen Babu. So Swamiji one day asked Satyananda about the reason for Sailen Babu's continuous absence in the meetings. Satyananda gave an answer and outlined in detail his background. Sailendra Bejoy Dasgupta was a disciple of Swami Sriyukteswar, a beloved Ranchi student of Satyananda who was principal of the school for twenty years (1922 - 1941) and was founding executive general secretary of Yogoda Sat Sanga Society of India (YSS) from 1936 - 1941. As all the founding members were life members of YSS, Satyananda was a member of YSS even after leaving Ranchi till he left body. It was a big favor to Sailendra Bejoy Dasgupta indeed because Dasgupta was a very beloved student of Satyananda. While Dasgupta was a student of ninth grade (Class IX) he wanted to take Kriya from Satyananda. In those days, Satyananda was permitted by Sriyukteswar to initiate others into Kriya but he was not acting on the permission. Jo mang asyati sarba cha mayi pasyati. The verse says, "He, who sees me [the supreme Self] present in all beings [in totality of Pure Consciousness] and all beings exist in me [the supreme Self], never loses sight of [the Lord] and I never lose sight of him." This was the position of Satyananda; being realized, he did not see the second existence; as a result, he did not like to initiate others since he did not see others except the Lord in every one. (One day, Satyananda said to the author, "Sriyukteswarji one day said to me, 'I am old and Yogananda is not here so you have to initiate people.' "
(When he insisted, Satyananda said to the author, "I told him that I will bring your message door to door." (With this sentiment of Satyananda, one can conclude that Satyananda never considered himself a teacher or Guru. Satyananda loved the author as his own son. (Mahamuni Babaji too loved the author as his son. He referred to that on a few occasions). Satyananda wrote eighty letters to the author. In some of them he mentioned the author as his son. So Satyananda maintained his original sentiment and never considered himself as Guru. Sriyukteswar usually visited Ranchi School each year at least once for a few days, as he had to preside over the annual prize distribution day and would give awards to the first boys of the different classes and the winners of the sports games. On one such occasion, Satyananda brought Dasgupta and asked him to take Kriya from Sriyukteswar. At this time Dasgupta was a teen-aged boy. He remarked frankly to Satyananda, while pointing to Sriyukteswar, "I am not going to take Kriya from this old man; I will take Kriya from you and you only." Sriyukteswar was gently smiling at Dasgupta's comment. Dasgupta had such love and respect for Satyananda. Eventually, Dasgupta was initiated by Sriyukteswar. One day, on a subsequent visit to Ranchi Sriyukteswar asked a devotee to bring Sailen. When he saw Sriyukteswar, he initiated Dasgupta the second Kriya of the tranquil breath, also known as Thokkar Kriya because Dasgupta's practice of the Khecharimudra or the Talabya Kriya was successful. Dasgupta was a lucky one. When Dasgupta was studying in college, they were poor financially. Satyananda said that he traveled in a tram in Calcutta in the second class and saved money to give to Sailen so that he could have his breakfast in the morning. After college, Dasgupta enrolled in the Calcutta University in the Anthropology Department where there were only fourteen students enrolled that year. In the final examination, Dusgupta stood first in the first class and became a gold medalist. Just after that when Yogananda visited India, Satyananda was sick so he recommended Dasgupta to be Yogananda's private secretary for a year while he would stay in India. Yogananda was so impressed with Dasgupta he wanted to make him a brahmachari; but Dasgupta's father was an astrologer. He said that he had seen a marriage line in his son's palm so he could not be made a brahmachari. Yogananda made two graduate students of Ranchi, Sudhir Chandra Roy to Swami Sevananda and Panchkori Dey Brahmachari Shantananda, but failed to make Sailen Babu a brahmachari. (It should be mentioned here that Yogananda, being liberal, his giving sannyas or Swami order, was liberal too. He had a tendency to violate the Vedic rules; Satyananda always cautioned him in this regard; pointing out the Vedic rules, and then left it to him, whatever he would do. When Swami Sevananda left Puri Asram, he joined his beloved Principal, Satyananda, at Sevayatan. Then at a certain point of time he felt to move close to the Himalayas. Swami Satyananda recommended his good friend, Swami Mahadevananda Giri, chief of Swami Bholananda Giri Sannyas Asram at Haridwar. As a result, he joined Swami Bholananda Giri Asram at Haridwar, the famous place. The chief of the asram asked him, if "Viraja Homa" a very significant segment of the sannyas vow was performed during his entering into the order of Swami. Sevananda said, "No, he does not think so." Swami Mahadevananda Giri, said, "Then he has to go through it again with sannyas vow with Viroja homa, only then he could accept him. Sevananda went through it again and was accepted. Once, he became general secretary of the asram). Dasgupta found a job teaching anthropology in Bangabasi College for only one hundred rupees a month salary, but left after a year to join ajute mill as a labor officer. Now came Dasgupta's marriage issue. It was decided with a rich and famous man, Kiron Sankar Roy, in whose name there is an important street near the New Secretariat. At this stage, Sailen Babu was trying to have guidance in his life from Satyananda through letter correspondence. He wrote to him on the issue. Satyananda replied to support his sentiment and wrote indirectly if he could avoid getting married, he should. So accordingly, he said that he was not going to get married. In fact, it was ,too late. The invitation letters were printed and distributed by the Roy family. Having heard this message from Dasgupta, one younger daughter of Mr. Roy came to Dasgupta's office and started shouting very loudly to Dasgupta that he had to marry her elder sister. They have a social standing, The marriage cards were printed in different languages and thousands of them were distributed. It was very late. He had no chance to avoid now. Dasgupta could not stand her shouting so loudly in the office. He said well he would marry her sister. Thus it was settled. The marriage was solemnized. Mrs. Dasgupta was a high school teacher, eventually she became a principal of the school. After the marriage, Dasgupta had a son, Mukul Dasgpta, and a daughter. He kept the file of letter correspondence with Satyananda in his office. One day, his daughter found it and gave it to her mother. Finding the letter of Swami Satyananda, she was furious. She began to think that she had a curse of a sannyasi in her married life. She put injunctions on Dasgupta's life that he could not have any connection with Satyananda or with any Swami for that matter. She also controlled Dasgupta's movement. It created a heavy strain on his life.